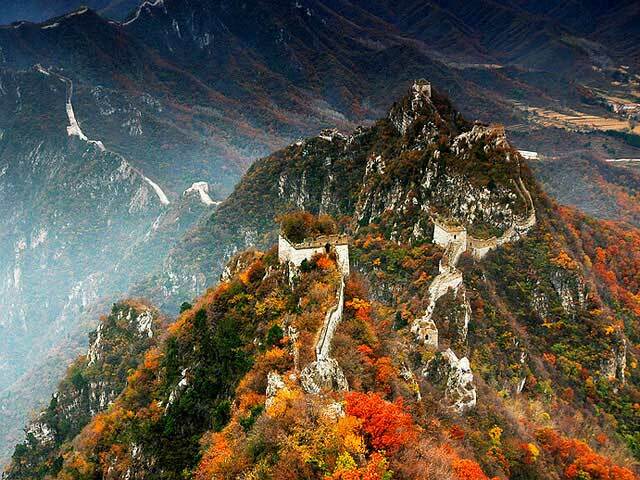 One hundred forty kilometers (87 miles) northeast of Beijing, the Jinshanling Great Wall stretches along the Big and Small Jinshanling mountain ranges, adjacent to Simatai. 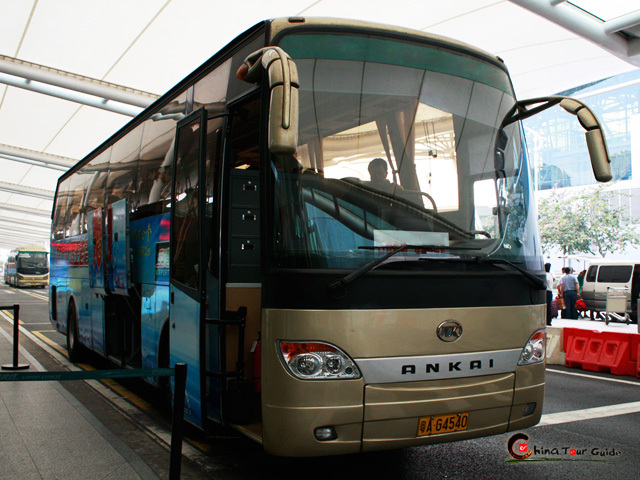 It is built near Gubei Pass, the only way through these mountains, which are steep and virtually impossible to climb. 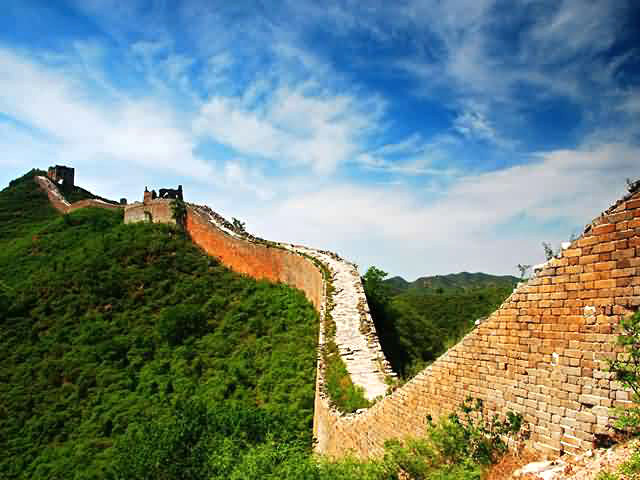 The pass is a very powerful point of control and one which Jinshanling wall was strategically designed to defend, giving it great importance in China's history. 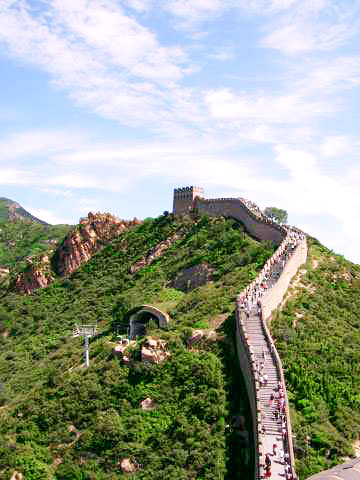 The Great Wall here is largely known for its uniquely complex structure and densely distributed lookout towers. 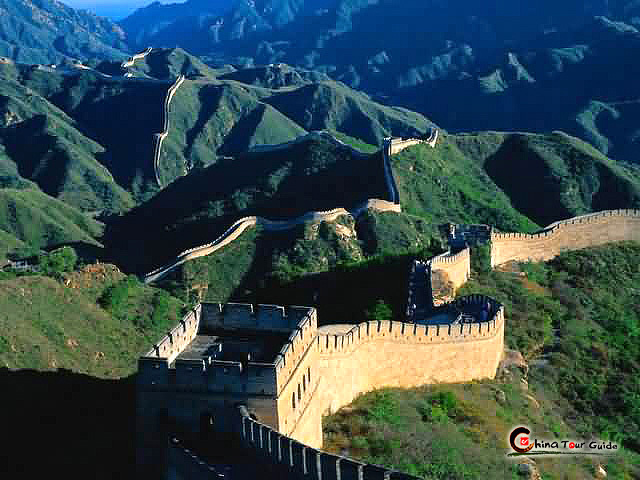 Altogether, there are 158 lookout towers of various styles along the wall. 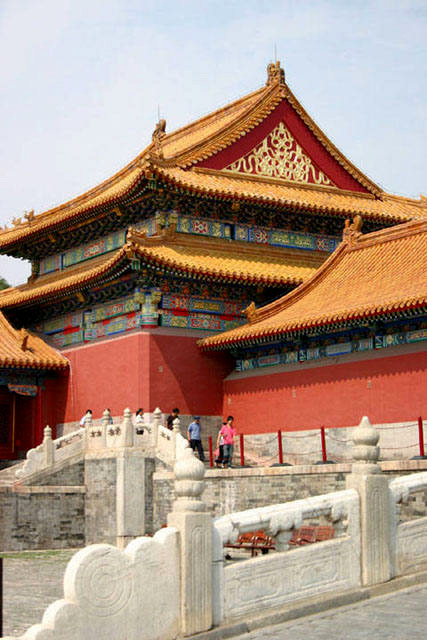 Some of them are made of brick and wood, while others are brick and stone structures. The pier bases as well as the roofs are of various shapes and sizes. 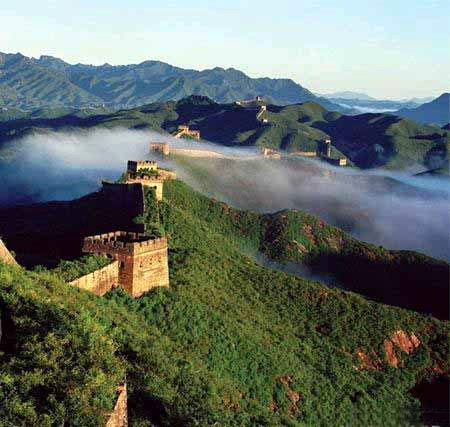 Other constructions include night-watch towers and storage buildings, both quite rare in other sections of the Great Wall. 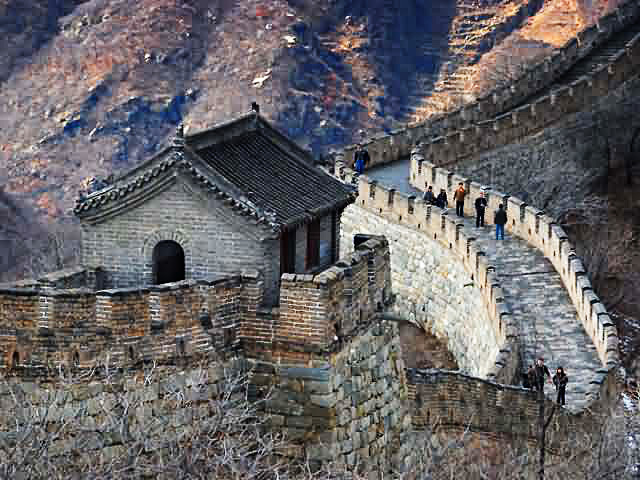 Various unevenly distributed constructions along the Jinshanling Great Wall form the perfect defense system. 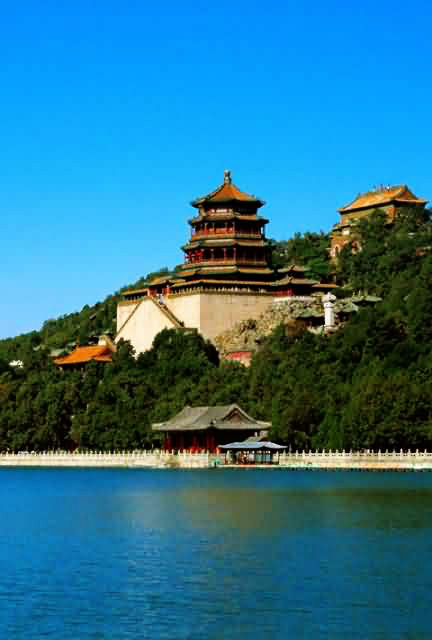 In Jinshanling, you can see the complicated watchtowers, each one is built in a different architectural style. 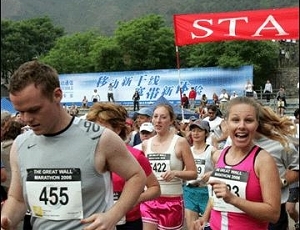 Few flat and easy part during the hiking from Jinshanling to Simatai. 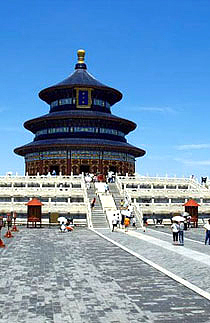 If you can only visit one stretch, then go to the Jinshanling section and walk along it to Simitai. 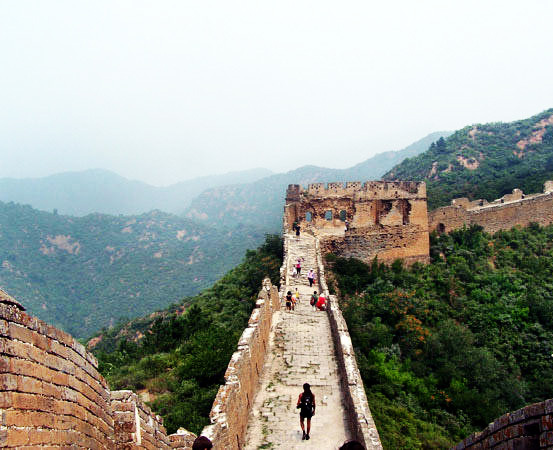 The hike between Jinshanling and Simatai is truly amazing. The wall snakes over the mountains and the views on the hike are spectacular. 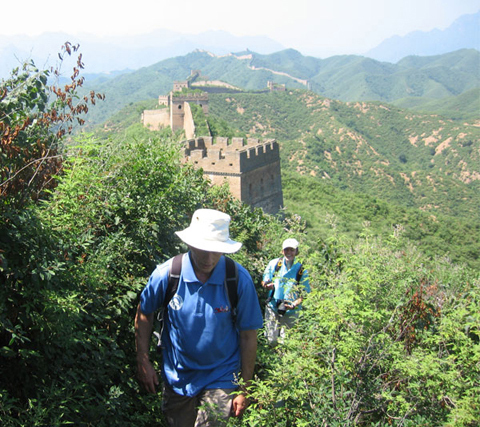 Along the way, there are numerous watch towers and beacon towers in various levels of disrepair to explore. 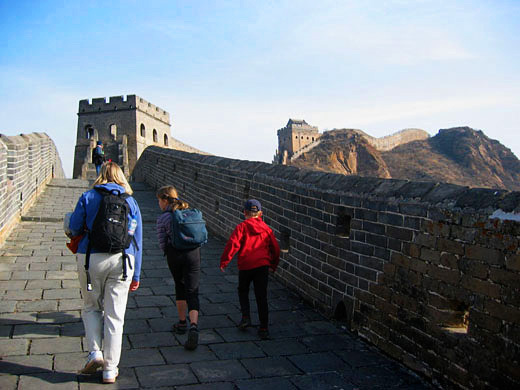 Walking along the wall where soldiers used to stare out at the forests and mountains, stepping on the stones that were placed there hundreds of years ago, exploring the barracks where fearful young men warily tried to steal a few moments of sleep: the hike will be an exciting adventure that you won't forget!